According to a study published in Nature by an international research team, the loss of biodiversity is as damaging to ecosystems as climate change, pollution and other major forms of environmental degradation, highlighting the need for stronger local, national and international efforts to protect biodiversity and the benefits it provides. "Loss of biological diversity due to species extinctions is going to have major impacts on our planet, and we better prepare ourselves to deal with them." Learn more. 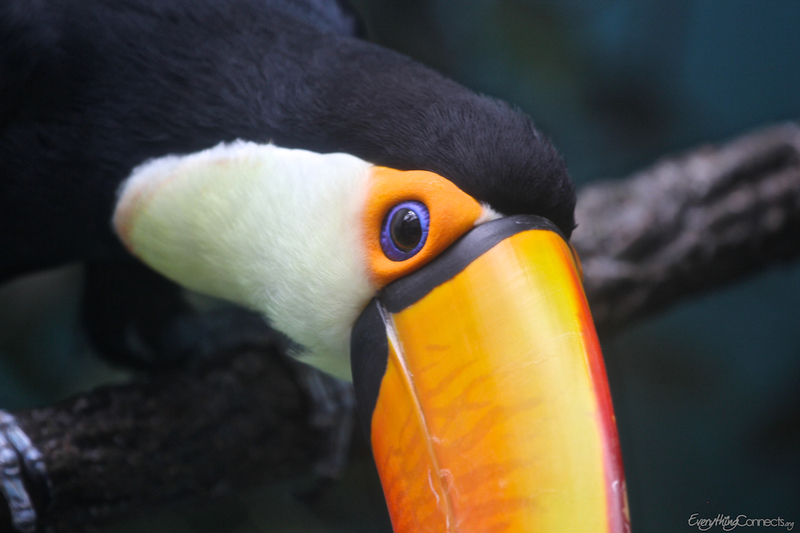 Toucans disperse seeds of fruiting trees. Click to enlarge. Because everything connects. The fate and prosperity of humanity is inextricably connected to the health and balance of the natural world. Every single organism plays a role in its ecosystem that contributes to the overall stability and health of that ecosystem. We depend on countless species directly for basic needs such as food, shelter, medicine, pollination and clothing, and on the complex network of all species which is necessary to support those species that we depend on directly. Science is only just beginning to understand the complex and subtle ways that species depend on each other for survival that leads to the intricate interdependency of ecosystems. Maintaining biologically diverse ecosystems will help secure the indispensable ecosystem services that are often taken for granted. These include climate regulation, mitigation of floods, food, fresh water, carbon sequestration, purification of water and air, poverty alleviation, nutrient cycling in the soil, wood and fiber, pollination of crops and natural vegetation, fuel, disease management, seed dispersal, aesthetics and spirituality, and prevention of soil erosion. 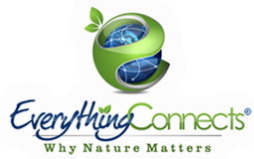 These essential services, effectively provided by healthy ecosystems, are what make our lives possible. A cascading ripple effect occurs in an ecosystem when one species goes extinct, which threatens other species who depend on that species by potentially affecting their ability to thrive or even survive. An extinction does not need to occur for this effect to take place. A sharp decline in the numbers of a species can be almost as detrimental to an ecosystem as extinction and can severely weaken the entire ecosystem. As the stresses of species loss increase, it remains a matter of time until ecosystems reach a breaking point, after which catastrophic collapse is rapid and potentially irreversible. As the IUCN puts it, "From time immemorial, nature has fed us, cured us, and protected us. But today the roles have switched. We need to feed nature, we need to cure it and protect it if we want to secure a healthy and prosperous future for our children." Learn more. "At least 40 percent of the world’s economy and 80 percent of the needs of the poor are derived from biological resources. In addition, the richer the diversity of life, the greater the opportunity for medical discoveries, economic development, and adaptive responses to such new challenges as climate change."